For other uses of "Nootka", see Nootka (disambiguation). The inlet is part of the traditional territory of the indigenous Nuu-chah-nulth people. They called it Mowichat. John R. Jewitt is an Englishman who describes the area in some detail in a memoir about his years as a captive of chief Maquinna from 1802 to 1805. On August 8, 1774, the Spanish Navy ship Santiago, under Juan Pérez, entered and anchored in the inlet. Although the Spanish did not land, natives paddled to the ship to trade furs for abalone shells from California. Pérez named the entrance to Nootka Sound Surgidero de San Lorenzo. The word surgidero means "source". When Esteban José Martinez arrived in 1789 he gave Nootka Sound the name Puerto de San Lorenzo de Nuca. The Spanish establishment established at Friendly Cove he gave the name Santa Cruz de Nuca. In March 1778, Captain James Cook of the Royal Navy landed on Bligh Island and named the inlet "King George's Sound". He recorded that the native name was Nutka or Nootka, apparently misunderstanding his conversations at Friendly Cove/Yuquot; his informant may have been explaining that he was on an island (itchme nutka, a place you can "go around"). There may also have been confusion with Nuu-chah-nulth, the natives' autonym (name for themselves). It may also have simply been based on Cook’s mis-pronunciation of Yuquot, the native name of the place. The earlier Spanish and British names for the Sound swiftly went out of use. At the time, the Spanish monopolized the trade between Asia and North America, and had granted limited licenses to the Portuguese. The Russians had established a growing fur trading system in Alaska. The Spanish began to challenge the Russians, with Pérez's voyage being the first of many to the Pacific Northwest. The British also became increasingly active in the region. Starting in 1774 Spain sent several expeditions to Alaska to assert its long-held claim over the Pacific Northwest which dated back to the 16th century. During the decade 1785–1795 British merchants, encouraged by Sir Joseph Banks and supported by their government, made a sustained attempt to develop British fur trade in the area, despite Spain's claims and navigation rights. The endeavours of these merchants did not last long in the face of Spain's opposition. The challenge was also opposed by a Japan holding obdurately to national seclusion. In 1789 Spain sent Sub-Lieutenant Esteban José Martinez, commanding Princesa and San Carlos, to enforce Spanish sovereignty and defend its claims. He arrived in February 1789 and established a settlement and built Fort San Miguel. The ship Iphigenia Nubiana, under Captain William Douglas and owned by John Meares, was impounded and two other British ships, including Princess Royal, were seized by the Spanish Navy. Two American ships in the area were allowed to sail as the United States was Spain's ally (Spain had helped the US in its War of Independence). However, the American ship Fair American, under Thomas Humphrey Metcalfe, was seized and taken to San Blas, before being released. The capture of the British ships led to the Nootka Crisis and near war between Britain and Spain. The British challenged Spanish claims to allegedly "un-colonized" land on the Pacific coasts of North and South America. 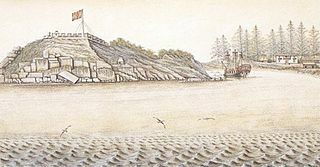 The first Nootka Convention (1790) gave both countries the right to settle along the Pacific coasts, interrupting the Spanish monopoly for the first time in over two centuries. The British quickly sponsored the Vancouver Expedition of exploration. Difficulties in implementing the terms led to a second, and then a third Nootka Convention (1794). The Nootka Sound controversy also played a part in the French Revolution. The Spanish Bourbon monarchy asked for French support in the dispute in the event that it led to war between Spain and Great Britain. The French Bourbon king Louis XVI wanted to back Spain against Great Britain, but his right to enter France into an alliance on his own prerogative was disputed by the National Assembly. The Assembly maintained that the King's right to determine foreign policy and declare war was subject to the sovereignty of the people. Eventually the Assembly ruled that a proposal for a declaration of war could be initiated by the king, but had to be ratified by the Assembly; this was a major blow to the monarchy. The Scottish political reformer Thomas Muir had been banished to Port Jackson in Botany Bay in Australia for 14 years for the crime of sedition in 1793. He managed to escape having only spent 13 months there, on board the American merchant ship Otter. After a highly adventurous voyage across the as yet largely uncharted Pacific Ocean to Vancouver Island, Otter finally dropped anchor in Nootka Sound on 22 June 1796. In conversation with José Tovar, the piloto (master) of Sutil, a Spanish vessel at anchor in the Nootka Sound, Muir learned to his dismay of the presence in neighbouring waters of HMS Providence, the British sloop-of-war under William Robert Broughton. This vessel had visited Port Jackson in Australia shortly before Muir’s escape and, since Broughton had almost certainly become acquainted with the captain or members of the crew, his life was now in real danger. To be captured while under sentence of transportation meant immediate execution. Once again Muir’s extraordinary luck held out. While a student at Glasgow, he had acquired a fluent command of Spanish and he was now able to persuade Tovar to break his regulations regarding the admission of foreigners into Spanish territory. Changing vessels he sailed with Tovar down the Pacific West Coast to the port of Monterey in Spanish Las Californias. The chronicles of Pierre François Péron describe Muir's escape from Australia and the voyage across the Pacific to Nootka Sound, and then as far as Monterey, California. Nootka Sound has not been the scene of any major international disagreements in modern history. It is mentioned in the former unofficial national anthem of English-speaking Canada, "The Maple Leaf Forever", to represent the western extent of Canada's "fair dominion". Nootka Sound is referred to in the fictional 2017 BBC One drama Taboo. ^ "Port Cox". BC Geographical Names. ^ Pethick, Derek (1980). The Nootka Connection: Europe and the Northwest Coast 1790–1795. Vancouver: Douglas & McIntyre. pp. 8–9. ISBN 0-88894-279-6. ^ Tovell, Freeman M. (2008). At the Far Reaches of Empire: The Life of Juan Francisco De La Bodega Y Quadra. University of British Columbia Press. pp. 14, 202. ISBN 978-0-7748-1367-9. ^ Alexander von Humboldt, Political Essay on the Kingdom of New Spain, translated by John Black, Vol. 2, London, Longman, 1822, translator’s note, p.322. ^ Pethick, Derek (1980). The Nootka Connection: Europe and the Northwest Coast 1790–1795. Vancouver: Douglas & McIntyre. pp. 7–8. ISBN 0-88894-279-6. ^ Pethick, Derek (1980). The Nootka Connection: Europe and the Northwest Coast 1790–1795. Vancouver: Douglas & McIntyre. p. 13. ISBN 0-88894-279-6. ^ a b "The Nootka Incident". Canadian Military History Gateway. 2005. Archived from the original on October 18, 2006. Retrieved 2005-03-25. ^ Robert J. King, “George Vancouver and the contemplated settlement at Nootka Sound”, The Great Circle, vol.32, no.1, 2010, pp.3–30. ^ "Timeline of Nanaimo (PDF)" (PDF). City of Nanaimo. 2004. Archived from the original (PDF) on 2007-10-08. Retrieved 2007-03-09. Harboard, Heather. Nootka Sound and the Surrounding Waters of Maquinna. Surrey: Heritage House Publishing Company Limited, 1996. ISBN 1-895811-03-1. Jones, Laurie. Nootka Sound Explored. Campbell River: Ptarmigan Press, 1991. ISBN 0-919537-24-3. Manning, William Ray. The Nootka Sound Controversy. Part XVI of the Annual Report of the American Historical Association for the Year 1904, Washington: Government Printing Office, 1905, pp. 279–478. Reprint: Ann Arbor: University Microfilms Inc., 1966. King, Robert J. "'A regular and reciprocal System of Commerce' — Botany Bay, Nootka Sound, and the isles of Japan", The Great Circle (Journal of the Australian Association for Maritime History) vol.19, no.1, 1997, pp. 1–29. King, Robert J. "William Bolts and the Austrian Origins of the Lapérouse Expedition", Terrae Incognitae, vol.40, 2008, pp. 1–28; presented at the Canadian Nautical Research Society Conference, Churchill, Manitoba, 2–7 August 2007. 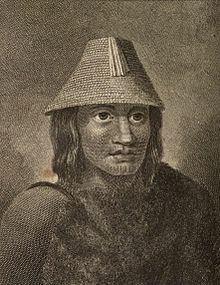 Maquinna was the chief of the Nuu-chah-nulth people of Nootka Sound, during the heyday of the maritime fur trade in the 1780s and 1790s on the Pacific Northwest Coast. The name means "possessor of pebbles". His people are today known as the Mowachaht and reside today with their kin, the Muchalaht, at Gold River, British Columbia, Canada.